This book examines the shifting portrayal of the nation in school textbooks in 14 countries during periods of rapid political, social, and economic change. 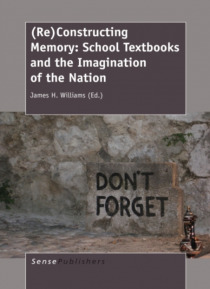 Drawing on a range of analytic strategies, the authors examine history and civics textbooks, and the teaching of such texts, along with other prominent curricular materials-children's readers, a required text penned by the head of state, a holo… caust curriculum, etc.. The authors analyze the uses of history and pedagogy in building, reinforcing and/or redefining the nation and state especially in the light of challenges to its legitimacy. The primary focus is on countries in developing or transitional contexts. Issues include the teaching of democratic civics in a multiethnic state with little history of democratic governance; shifts in teaching about the Khmer Rouge in post-conflict Cambodia; children's readers used to define national space in former republics of the Soviet Union; the development of Holocaust education in a context where citizens were both victims and perpetuators of violence; the creation of a national past in Turkmenistan; and so forth. The case studies are supplemented by commentary, an introduction and conclusion.